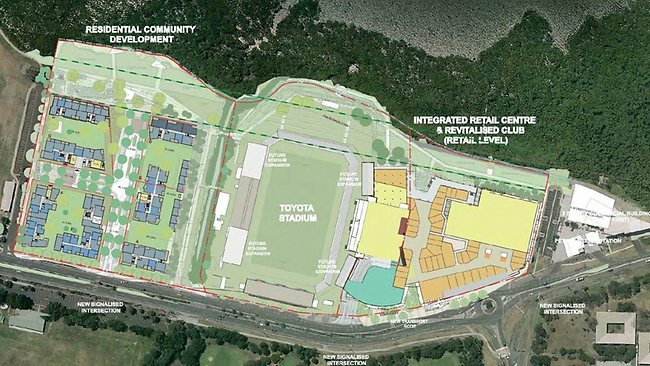 In a deal described as “like winning the grand final” by Triple M’s Grill Team, the NSW Government has approved a $330 million development on the site of NRL club The Cronulla Sharks home ground and current leagues club in Sydney’s Sutherland Shire. This is a big win for the struggling club, who have cried poor for some time citing $13m debts linked to developer Bluestone Capital Ventures, which they will now be able to pay off almost wholly thanks to the massive redevelopment. In a deal slated for quite some time, Bluestone Capital Ventures offered to kill off the club’s debt to St George Bank in a land grab that would see them ultimately take 100 percent of the revenue from the sale of the first 300 units in the 600 unit complex. Without this cash injection the club argued they may not be able to survive into the future, but the question must be asked, should their own financial mismanagement over many years be considered a plus in gaining consent for property development, and now, if any club or association cries poor, can they too build highrise on their own plots as well? The plan which was granted state significant status (read ‘developer green lights’) includes eight towers up to 16 storeys containing 600 apartments as well as a new shopping centre, combining with the club facilities to form a so-called new ‘town centre’. Nearby Caringbah and Miranda Fair deal quite well with the need for local retail supply in a time when more people tend to be buying online and venturing less into multistorey shopping complexes. The football ground itself would lose much carparking under the plan, but its not a problem, because according to the development consortium ”an extensive network of park-and-ride centres” in nearby suburbs would be created along with ”significant improvements to current public transport”. So the Sharkies can do what successive NSW state governments haven’t yet been able to – these directors (who have run their own club into the ground to the point where only a massive overdevelopment will bail them out) should be running our state! 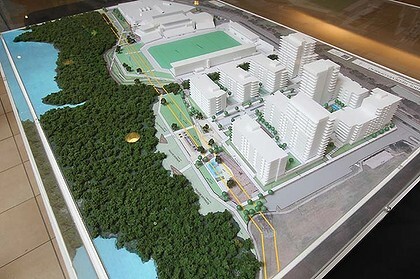 Over 2000 objections were raised to the plan, many by concerned residents who fear a massive overdevelopment in the already congested Shire (try driving around Cronulla on a summer Sunday), waterfront eyesore, traffic gridlock at peak hours, and lack of public transport options, not to mention development infringement on the neighbouring Ramsar listed Towra Point wetlands and mangroves. A minimum buffer of 40m was recommended by council and various government agencies including Dept of Primary Industries – Fisheries, Office of Environment and Heritage and Office of Water, however, the project was approved with only 35m setback along the 70m length of the loading dock. Stormwater and flooding are also major issues on a development of this magnitude so close to important sensitive wetlands – so far these are yet to be properly addressed. In an area already coming to terms with new housing estates such as Green Hills and Breen developments, Sutherland Council also rejected the plans as being too dense for the site as well as raising concerns with traffic and parking, but that didn’t stop the NSW Planning Department from giving it the final tick of approval. Local Member for Cronulla Mark Speakman SC MP voiced his disagreement with the project arguing against the scale and bulk as well as unsuitability of the location as a potential ‘town centre’. At a time when the Caltex refinery at nearby Kurnell has signalled its imminent closure, with the loss of around 630 jobs, does it really make sense to be building massive residential blocks just down the road? Sure, in the short term there will be building jobs to fill, but building jobs are temporary, and after that there will be alot more people housed in these developments than actually working in them, meaning they all have to travel outside for their working lives, meaning more traffic, more conjestion, perhaps more unemployment for the area long-term. Cronulla will really struggle with this influx of people and cars. On the same day the Sharks development was approved, so too was a $238 million development of the nearby Kirrawee Brick Pits envisioning another 432 units. Two towers of 14 and 11 storeys and seven smaller buildings will take form on the Brick Pits site in a decision that bypassed Sutherland Council altogether under Part 3A. “We put all our concerns on the table and they just didn’t listen to us…Once again the state government has not taken into account the concerns of the community. They are just walking all over us” said mayor Carol Provan, whose council spent $500,000 fighting the development in court. “We certainly need more development but we don’t need it in a place that is so gridlocked” she said. Earlier proposals for 250 units up to six storeys were knocked back in August 2009 by the Land and Environment Court – now we are double that size, and its all systems go, so work that out. So when is a rugby league club not a rugby league club? When they turn developer and choose to chase millions of dollars in financial gain putting their own interests and that of their developer backers before any concerns of the community they apparently ‘represent’… Well done Sharkies, multi-million cash windfall for you, nice new shiny amenities and the toast of the NRL club stratosphere. Bad luck if you live nearby and are used to the pleasant laid back beach atmosphere of Cronulla – your club has just turned all that on its head and done its best to try and destroy it completely. Perhaps after the recent elections the Sharks would have found a more sympathetic Sutherland council, with a landslide swing towards the Liberals across the suburbs, particularly in Sutherland. Whether this is linked to voters’ inability to determine between local and state matters remains to be seen, but having councils stacked with Liberal brands would only service Barry O’Farrell’s pro-development push on the state. We are aware of at least one Sutherland Liberal councillor voted in recently is a property developer, which beggars belief to some – do we really want property developers running our councils? The fact that one in seven votes at the local election was invalid shows that many people either don’t know or don’t care who they are voting for, and so developer friendly councilors are being allowed to creep in under the radar en masse. Ramsar listed Towra Point wetlands fringe the waters around the Cronulla Sharks site, and have been described as ‘the last substantial habitat in the Sydney region for migratory birds and the myriad of species which depend on the Towra Point ecosystem.’ What impacts will this development have on Towra Point? Follow the link here. Kirrawee Brick Pit development presentation here.